Ok folks, I’ve been meaning to do this prominent young Bruneian series for some time now, and I guess its about time. 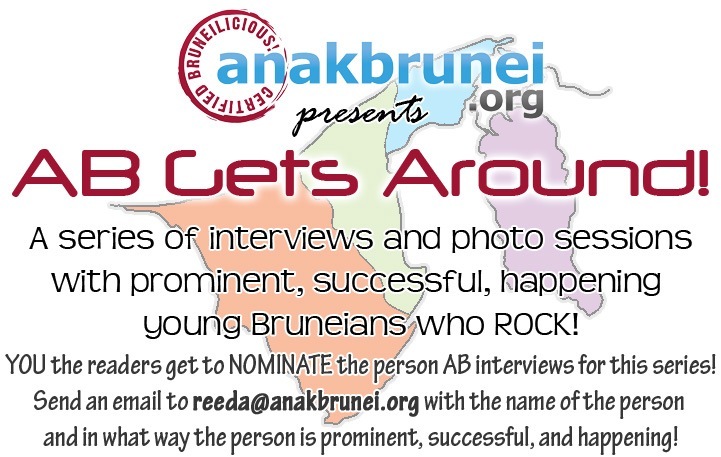 I have a few names in mind, but I thought I’d also open it to you my dear readers to nominate your favorite prominent young Bruneian for me to shoot the breeze with. So go on and send me your nomination TODAY! I hear there may be some AB merchandise to win! !